"We purchased this playset as a birthday gift for our 3 year-old twins. Not only have they enjoyed it, their older cousins and friends are having fun too. Scott was so patient and worked with us to make sure our playset was customized exactly the way we wanted it. I would highly recommend Backyard Fun and Rainbow Play Systems for some serious backyard fun!" "I can’t thank you enough on everything to do with the trampoline, it worked out perfect!!! Again, thank you for the great deal and the ladder. 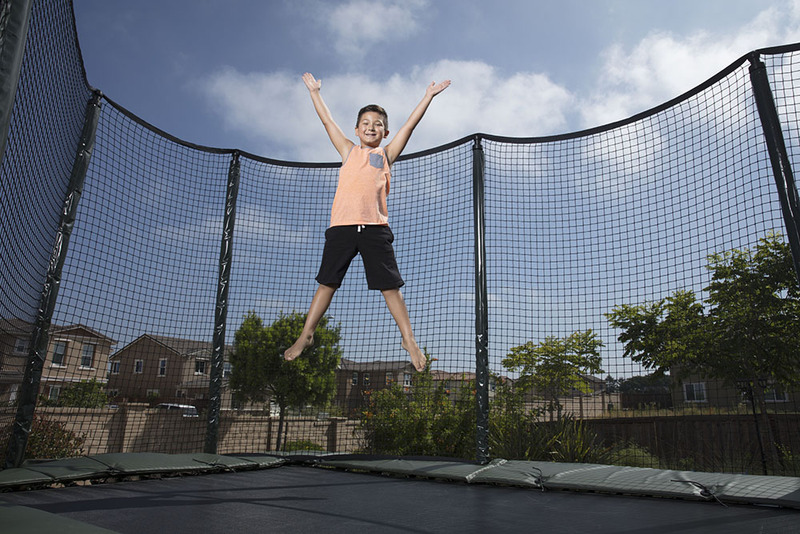 I’d tell everyone don’t consider getting a trampoline without one." "The trampoline delivery and install went very well, thank you. My kids are having a great time on it." "Scott, My granddaughter really loves the play set. She is 3 years old and when she saw it out of the window, she screamed “my playground is soooo beautiful! !” She was so cute. She spends a lot of time playing on it. Best buy I ever made." "I want to thank you for the excellent service we received from your company. 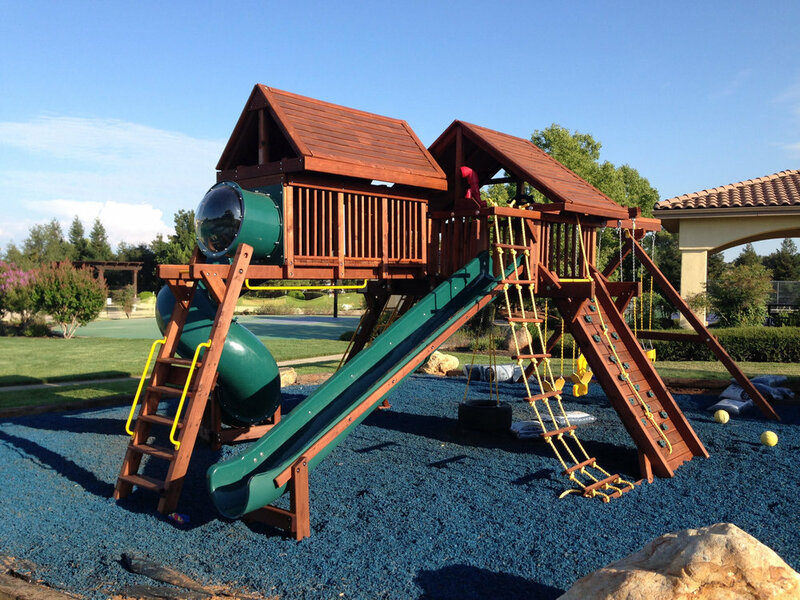 Your installation crew arrived on time and efficiently erected the high quality play system we ordered. Since the adult members of my family had to try out the swings, we know that this system will withstand any punishment our kids can dish out. In all we experienced a perfect delivery. Thanks!" "I just wanted to send a quick note to thank you for a wonderful buying experience. I appreciate the time you spent at your office and at our yard planning and explaining all the options we had to choose from. The play unit has been so much fun, not only for our grand kids, but also for our kids and us grandparents too! We swing, climb the ladder and play with our grand kids in the unit as well as slide down the extra long slide, which fits so perfectly between the oak tree trunks. The install went very smooth and accommodated our time schedule. Thanks again for a wonderful experience." "Your installation crew was pleasant and fast…Thank you for scheduling us so quickly and making our summer more fun!" 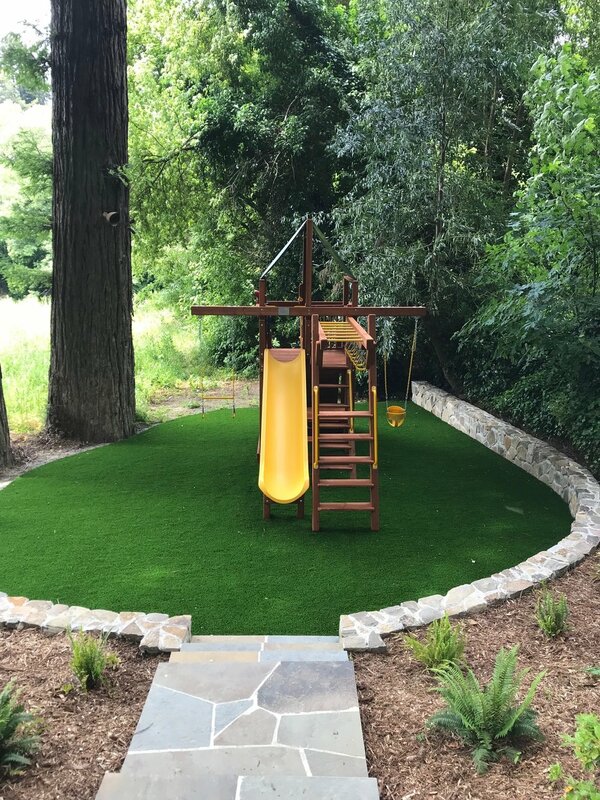 "Had a Rainbow Systems play structure customized and installed by Scott and team, and very pleased with their communication, professionalism, and the end product."